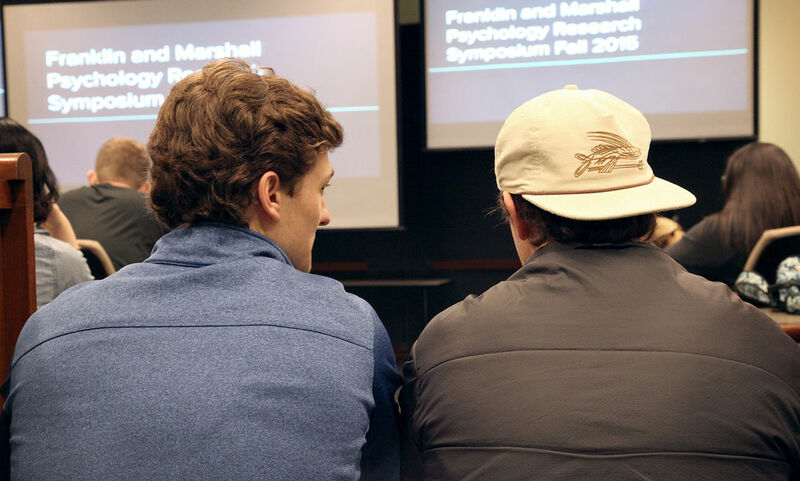 In the final week of each semester, Franklin & Marshall's Department of Psychology conducts Collaborative Research Symposia to showcase student-team projects on a variety of psychological phenomena. The department's collaborative research courses are organized around teams of two to four students. Each team is asked to design, conduct, analyze, interpret and report on original, empirical research on developmental or cognitive psychology. Psychology's curriculum is designed to shape students to succeed in this demanding task, said John Campbell, emeritus professor of psychology. 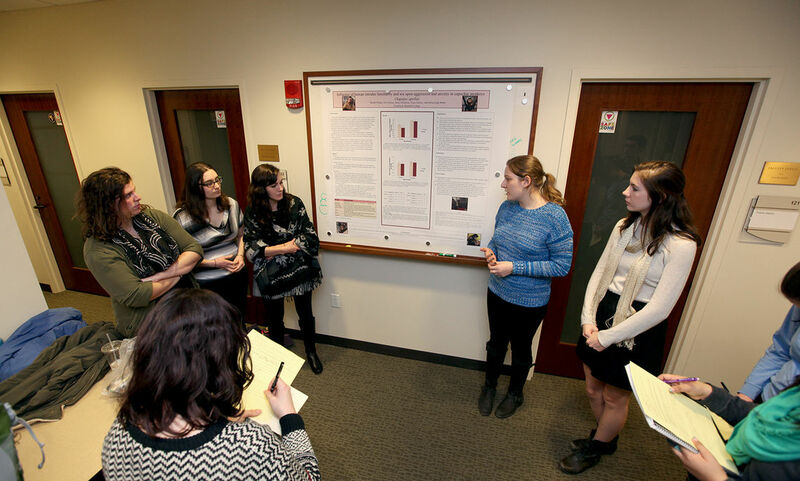 In addition, the collaborative nature of the research helps psychology majors appreciate the dynamics and benefits of the team-based approach to work and research that they increasingly will encounter after F&M. 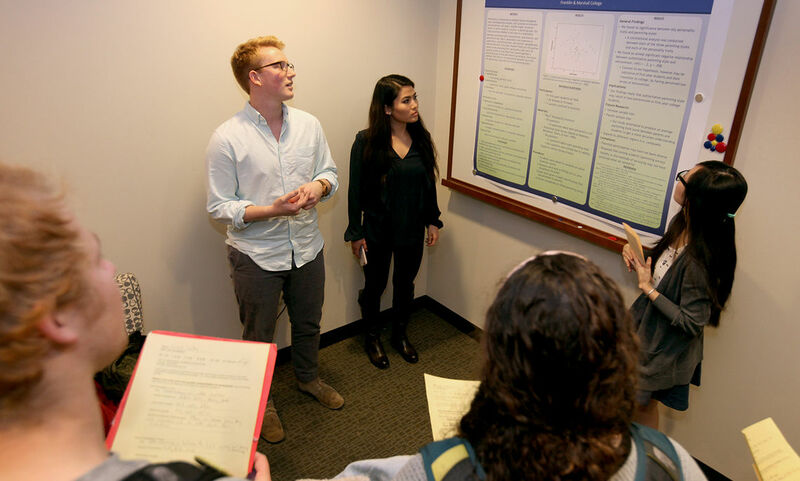 At this year's event, held Dec. 8, 20 student teams presented the results of their research through either 15-minute oral presentations or poster-and-discussion sessions. 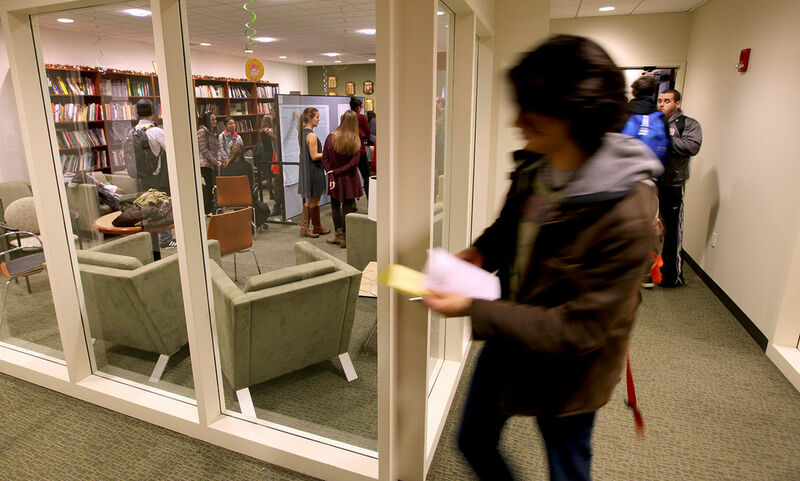 The project subjects ranged from "Homelessness on College Campuses" and "Does Music Help Children with Developmental Disorders Better Identify Emotions Than Visual Aid?" to "Differences in Chinese Students' Susceptibility to Self-Objectification after Priming in English vs. Mandarin Language" and "Hopelessness, Depression and Academic Procrastination." This slideshow presentation captures moments of that evening.